The U.S. National Transportation Safety Board (NTSB) issued five safety recommendations related to the evaluation and certification of lithium-ion batteries for use in aircraft systems, as well as the certification of new technology. The safety recommendations, all addressed to the Federal Aviation Administration, are derived from the NTSB’s ongoing investigation of the January 7, 2013, fire event that occurred in a lithium-ion battery on a Boeing 787 that was parked at Boston Logan Airport. The 12-page safety recommendation letter said that the processes used in 2006 to support the certification of the lithium-ion battery designed for the 787 were inadequate, in part, because there is no standardized thermal runaway test that’s conducted in the environment and conditions that would most accurately reflect how the battery would perform when installed and operated on an in-service airplane. Further, the NTSB said that because there is no such standardized thermal runaway test, lithium-ion battery designs on airplanes currently in service might not have adequately accounted for the hazards associated with internal short circuiting. In its examination of the challenges associated with introducing newer technologies into already complex aircraft systems, the NTSB said that including subject matter experts outside of the aviation industry “could further strengthen the aircraft certification process” by ensuring that both the FAA and the aircraft manufacturer have access to the most current research and information related to the developing technology. 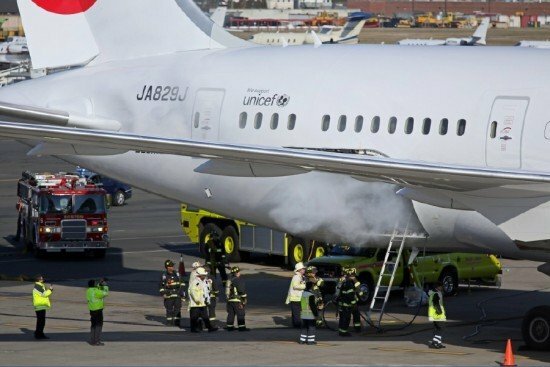 The final report on the January 2013 Boston 787 battery fire investigation is estimated to be completed in the fall.